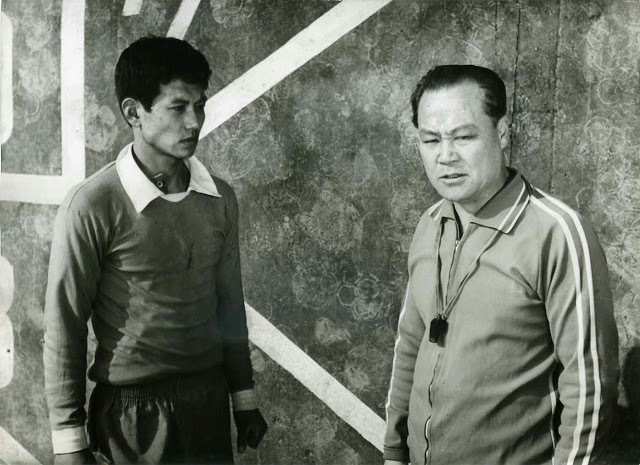 Kim Kil-In and Pak Chong-Song's charming Centre Forward is a great starting point for anyone looking to smash many of the unfair stereotypes often associated with North Korean films. Centre Forward's story focuses on a young up-and-coming striker named Cha In-Son who struggles to cope with the pressures which come from his big break representing Taesongsan Football Club. As he takes the pitch, the debutant realises he is not only representing himself but also, more pressingly, the hopes and dreams of his friends, family and supporters. His panic and inexperience mean he performs poorly in a match witnessed by an expecting nation; Im-Son's sweet mother viewing the fixture on television proudly watches on as her son squanders one goal-scoring opportunity after another. Like in all good sports movies, once our hero understands the true extent of his challenge, there becomes only one appropriate course of action - Im-Son demands further training for himself and his teammates too. 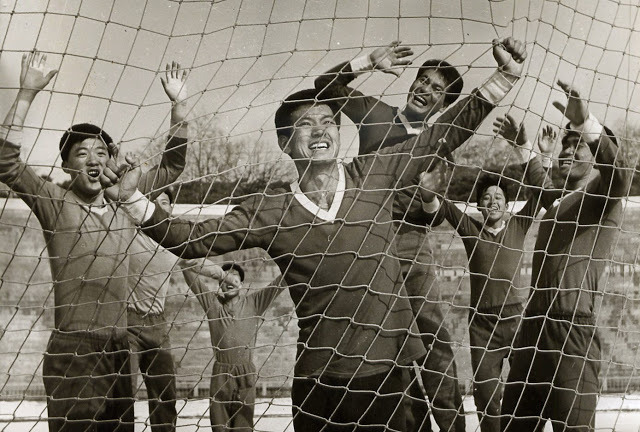 No longer should Taesongsan be complacent or rest on their morals; taking their cue from the example Kim Il-Sung set for the nation, the players channel all of their energy into a physically enervating, draining new workout. Aside from strengthening their bodies, can the new regime teach the squad the humility and drive needed to succeed? Or will the players wilt under the impossible strain demanded of them? Playing out in a neatly episodic manner, Centre Forward delights us with its kind-spirited portrayal of its characters and their struggles; we can't help but root for Taesongsan's success based on the team's devotion and drive. Whilst the notion of sacrifice and hard labour constituting necessary functions for success is a common framework in North Korean cinema, Kim and Pak keep the overt ideology to a minimum in their movie. Instead Centre Forward thrills us in the manner of real-life underdog sporting victories and does so with humour and good grace (Im-Son's loving mother often providing unintentional comedy with her naive understanding of her son's chosen sport). Aside from some sub-standard editing during the football sequences, seemingly cobbled together from an incredibly limited amount of footage, Centre Forward is a winning example of a sport movie.